Five star living with spectacular mountain views in this 3 bedroom, 3 bath ranch house on secluded Beartrap Ranch. Large home built by a master stone mason which also functioned as a former outfitter's lodge. The ranch has access to BLM land on 3 sides. 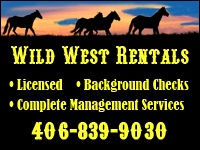 We can arrange horse or 4 wheeling trips into public land with views of the Pryor Mountains, Park Mountain and Beartooth Mountain Range. We can set up a float trip down the Clarks Fork of the Yellowstone River with access just one mile from the ranch. Enjoy the outdoors on spacious deck where the prairie meets the patio. You will want to spend time around the fire pit and outdoor spa/jacuzzi overlooking the Clarks Fork Valley and Beartooth Mountain Range. Prepare meals on a charcoal BBQ built in stone or a gas BBQ, and have drinks served from the wet bar. The kitchen, dining room and living area are designed in an open concept where you can visit privately or as a group. Features a large stone fireplace in the living room. The amazing home also features an exercise and fitness room, hot tub, pool room, large screen TV with surround sound, stereo system throughout home, and more. This home has 3 unique bedroom, each designed with it's own theme and custom furniture. The first bedroom has a canopy queen sized bed, stone fireplace, intimate atmosphere with 2 person jacuzzi tub in large bathroom with 2 vanities. Second bedroom features a king size canopy log bed with access to bathroom with total stone look, mirrors, jacuzzi tub, and a shower. Third bedroom is an oriental design with furnishing from the Far East and bathroom is located down the hall. Ranch House rental rates $425 per night* / 2 night minimum $2,500 per week* $800 deposit $250 non-refundable cleaning fee * State bed tax required Contact us for long term availability. Owner is a former outfitter who can arrange horse or 4-wheeling trips, river float trips, mountain biking, hunting, fishing, or hiking. Large pond stocked by Montana Fish Wildlife and Parks with bass, cutthroat, and rainbow trout. Beartrap Ranch is located in the Clarks Fork Valley 15 miles from Red Lodge, 50 miles from Cody, and 65 miles from Billings. There is a grocery store, gas station and bar just 4 miles from the ranch. 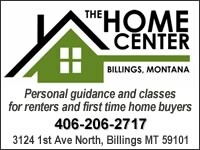 Call Gary Bramble at 406-698-2224 for a unique living experience in Montana.